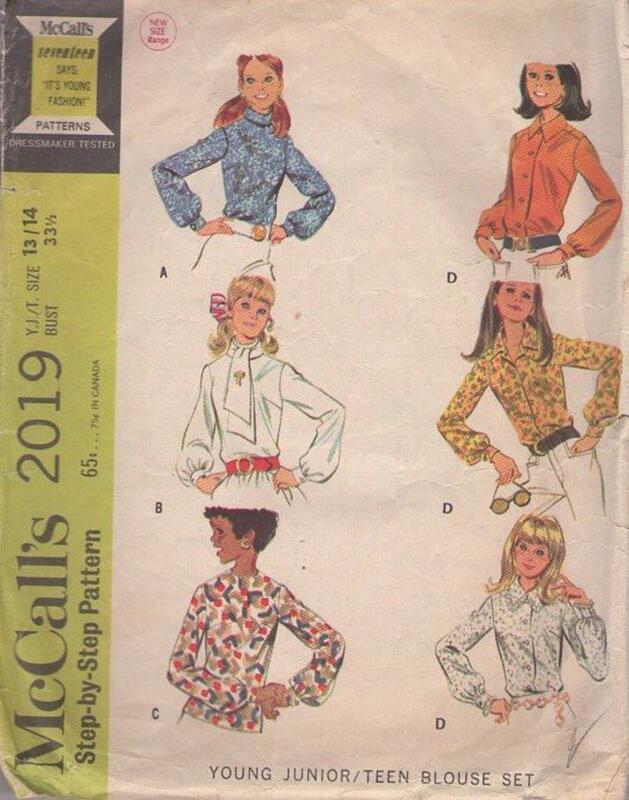 1968, 60s Mod, Retro Office Clothing Patterns - Blouses with center back zippers or front buttoned blouse. All blouses have long set-in sleeves gathered into faced buttoned bands. Zippered blouse may have faced collarless neckline, or bias rolled collar included in neck facing seam. Collared blouse may have faced tie wrapped around neck. Buttoned blouse has fronts sewn to forward shoulder extensions of back and faced collar included in neck facing seam. Lace ruffling may be included in collar and sleeveband facing seams. Blouses are interfaced where necessary.